Liam or Noel? Liam of course beat Noel to the post-Oasis release with the Oasisy Beady Eye, which picks up exactly where Oasis left off. Now Noel is releasing his Noel Gallagher's High Flying Birds' new tune The Death of You and Me, which is quite, uh, Oasisy. Noel has a knack for melody that Liam has never quite picked up. Regardless, for Oasis fans it might be true that the parts are in fact greater than the sum. The album is released in October. Matrimonially-blissed-out poppers Mates of States are releasing their new album Mountaintops on September 13. 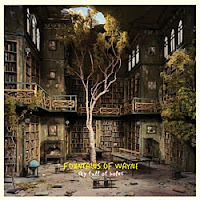 Maracas is the first single, which you can download free below. Also check out the retro VHSed video below as well. John Lennon had a full-length feature released in theaters. HBO has George Harrison's Scorsese documentary. Now Showtime has Paul McCartney's documentary The Love We Make about his experiences following 9/11. Rumor is that Ringo is working on a deal for 15 minutes on your local public access channel. Good for him. 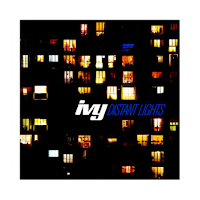 It's been over six years since their excellent last album In the Clear, so it's exciting news that Ivy is finally releasing a new one called All Hours on 9/20. Check out the first single Distant Lights below or download via iTunes. Love that voice. 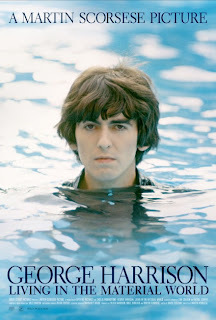 HBO has acquired the North American broadcast rights to Martin Scorsese's GEORGE HARRISON: LIVING IN THE MATERIAL WORLD, which will debut in two parts — on October 5 and October 6, 2011 — exclusively on HBO. Finally the quiet one gets his due with a full-length documentary and a book published by Olivia Harrison. Martin Scorsese says, "I will never forget the first time I heard All Things Must Pass, the overwhelming feeling of taking in all that glorious music for the first time. It was like walking into a cathedral." 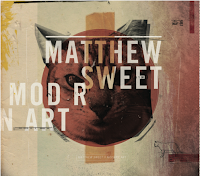 Matthew Sweet's new album Modern Art now has art! And song titles! Am I Asleep? Is This A Dream? 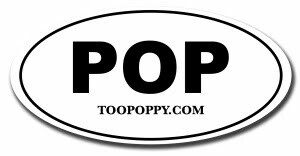 The EP will be available via guster.com, iTunes, Amazon and of course your favorite local independent record store (what the hell is that?). Enjoy "On The Ocean" from the EP now!